Our “Advanced Seminar on Intellectual Property Traps in Secured Financing,” designed specifically for the Fellows of the College by Professor Stephen Sepinuck, used a discussion of specific problems to reveal some of the IP traps for secured lenders arising when the debtor is an owner, licensor, or licensee of IP. Click here for the Seminar handout, and click here for the PowerPoint. College Fellows Professor Stephen Sepinuck, Steve Weise and Teresa Wilton Harmon prepare annual summaries of case law developments relating to UCC, bankruptcy, contract law and other commercial law related topics. The College is please to make those surveys available. 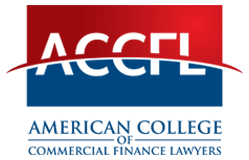 The Transactional Lawyer is the bi-monthly electronic newsletter of the Commercial Law Center at Gonzaga University School of Law. The newsletter offers advice to lawyers on how to structure and document commercial transactions and alerts transactional attorneys to recent legal developments that may affect their practice. The CLC also publishes annual commerical law updates, summarizing relevant cases, as well as provides other resources. The CLC Links & Resources webpage can be accessed here. Information regarding the 2010 Amendments to UCC Article 9 can be found here: Click here for a summary of the amendments. Ken Kettering, “The Uniform Voidable Transaction Act; or, the 2014 Amendments to the Uniform Fraudulent Transfer Act,” The Business Lawyer, Vol. 70, Summer 2015, 777. Model Intellectual Property Agreement Task Force, “Task Force Introductory Report and Background Considerations, Model Intellectual Property Security Agreements” The Business Lawyer, Vol. 71, Summer 2016, 849.